Miami welcomed a record-breaking 16 million visitors between late 2017 and mid-2018, a number that was achieved despite the destination being hit by Hurricane Irma. The increase in overnight visitors drove even more good news for the destination, including a record-breaking $26.5 billion in expenditures, which is an increase of more than two percent compared to the same time period the previous year. The strength of Greater Miami’s travel and tourism industry is especially evident in hotel performance where revenue per available room (RevPar) grew by more than +10% over the same time period the previous year, according to data released by the Greater Miami Convention & Visitors Bureau (GMCVB). The bureau described the convention center as the anchor for the city’s meetings and conventions industry. Newly reimagined with an injection $620 million, the expanded MBCC includes a new 60,000 square-foot-grand-ballroom, 500,000 feet of exhibit space, 84 breakout rooms, and a new six-acre public park to serve as incremental event space. 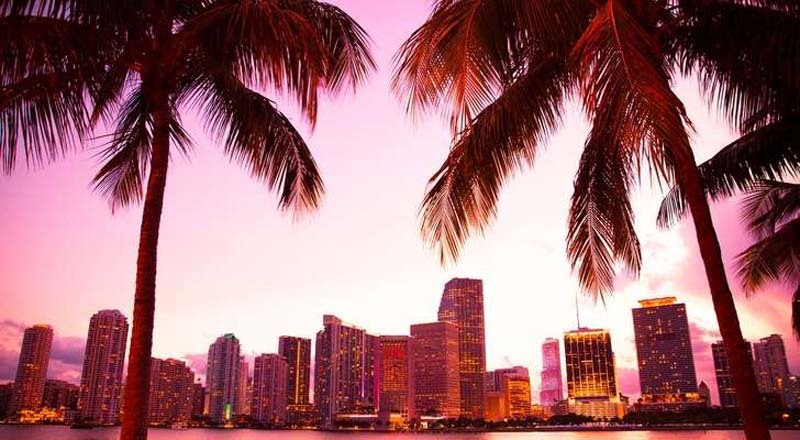 In September, Miami and the Beaches welcomed the American Health Information Management Association (AHIMA), its first citywide convention since the MBCC began its multi-phase renovation project. This week the destination will host The International Society of Aesthetic Plastic Surgery (ISAPS) in the convention center’s newly transformed four interior halls. Over the course of just two months, the two conventions are forecasted to generate about $10 million in economic impact for the local community, the GMCVB said. During the first nine months of 2018, Greater Miami and the Beaches led the rate of growth in hotel revenue-per-available-room (RevPar), hotel occupancy and hotel room rate among STR’s top 25 hotel markets in the country. The bureau attributes that success in part to its own “Hotels First” Marketing Initiative, which positions hotels as the focal point of a visitor’s vacation. That marketing initiative worked in tandem with the GMCVB’s “Found in Miami” global marketing campaign calling on travelers to discover the rich heritage of greater Miami’s multicultural neighborhoods. The bureau also recently formed a few new divisions, that have also contributed to the destination’s success. The Multicultural Tourism & Development division and the Sports & Entertainment Tourism division have re-energized two emerging sectors and generated increased hotel demand.